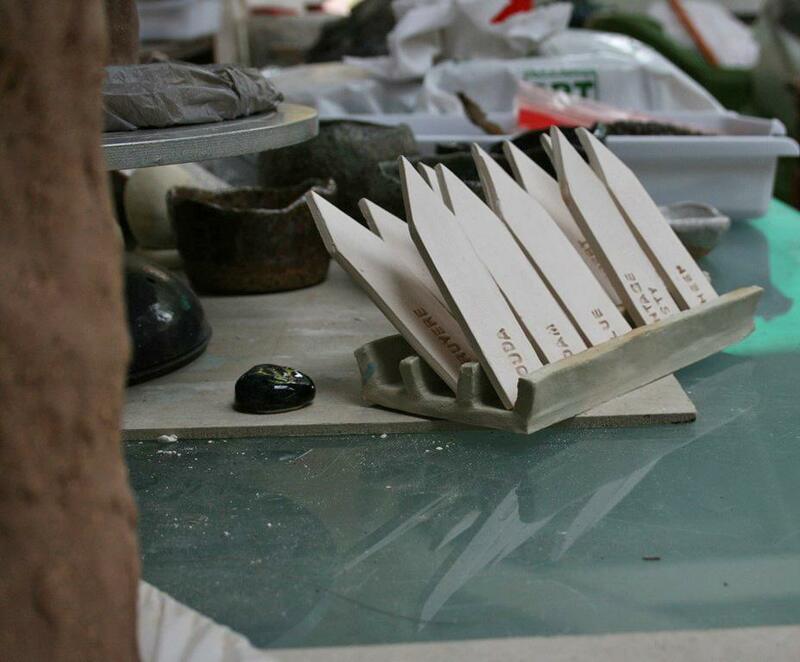 My name is Tallaine and I am a potter. 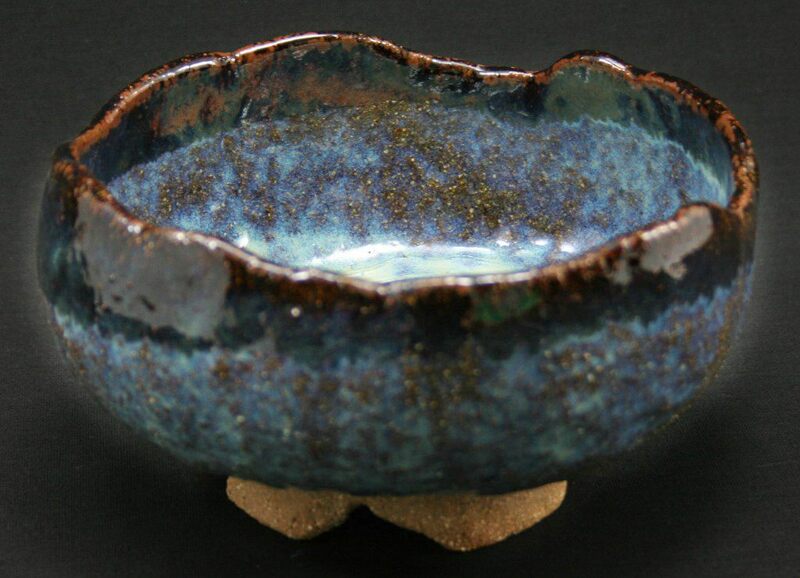 Pottery for me started off as a hobby. Several years ago my daughter joined a pottery class and loved it. Some of the pieces she came home with inspired me to pick up a piece of clay and I was hooked! I was making too many things to keep, so I started giving them as gifts. 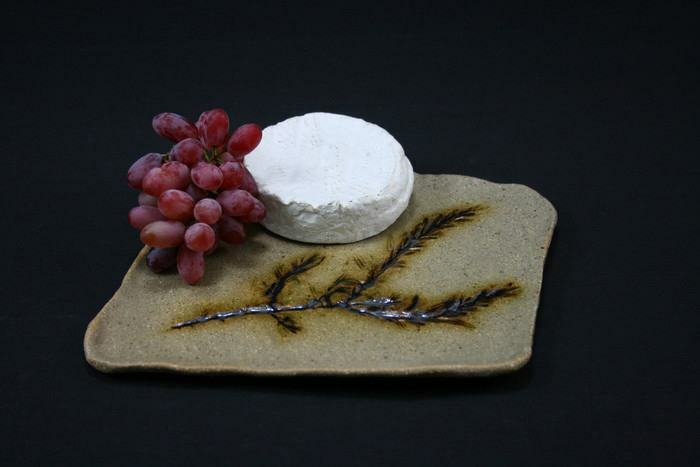 A friend asked me to make her some cheese plates for her to give as gifts and suggested I start selling them, and it took off from there. 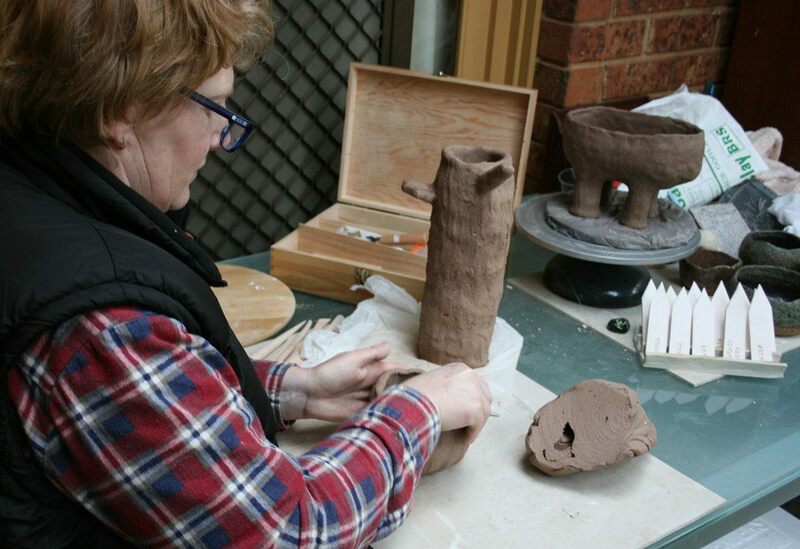 My pottery studio is a shed out the back, but I also like to work on the verandah with the dogs. We have 2 Cocker Spaniels that take a keen interest in whatever I’m making. And quite often my daughter will sit with me and make things too. She has sold several of the jewellery pieces she makes from clay as well. 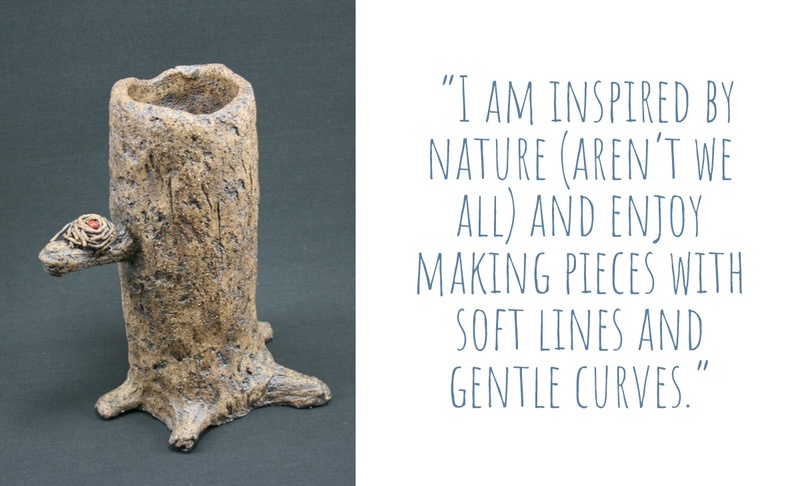 I am inspired by nature (aren’t we all) and enjoy making pieces with soft lines and gentle curves. Recently, I have also been using fallen leaves and other plant material to make impressions on my pieces. I make things that I like to use and look at. I have been making dinner sets, platters, pots and serving pieces, but recently I have started to make sculptures too. I have always been interested in art, crafting and making things myself at home. I am also a keen renovator, having renovated my first home over 30 years ago. 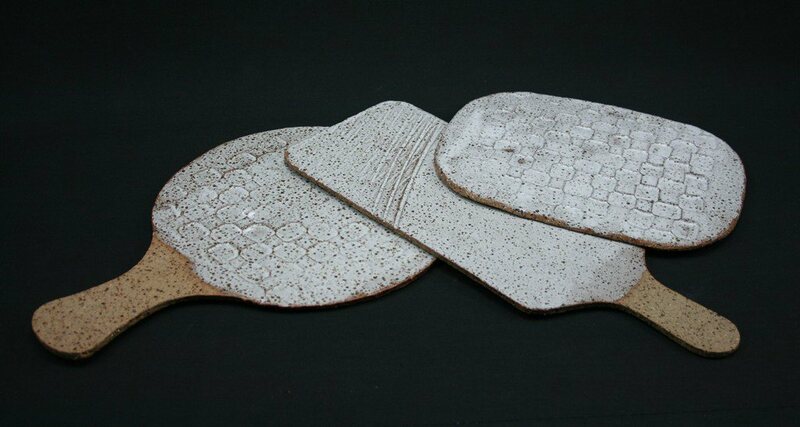 I would like to make my own tiles and basins for my next home in Tasmania where I hope to move to in several years. I like to create pieces that are functional and beautiful. 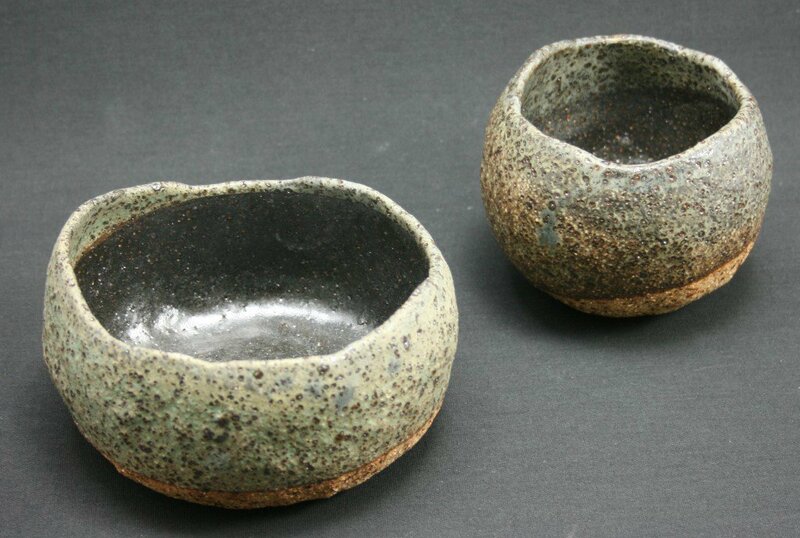 I use Buff Raku Trachyte (BRT) clay predominately because of the texture and the finish that it gives. I also love the way the clay reacts to different coloured stains. I use an LGH clay too, but I am most passionate about the BRT. What I love about handmade is that someone has taken time and care to make something with their own hands. 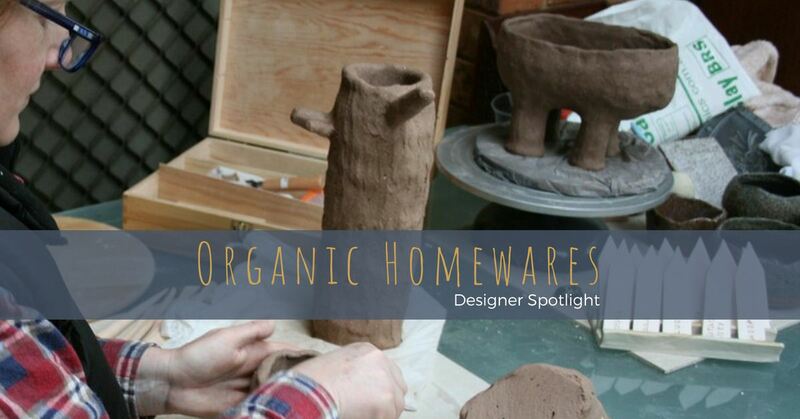 Homemade pieces have their own warmth and character, which are lacking in mass produced items. Even though I make sets of things, no 2 items are the same. 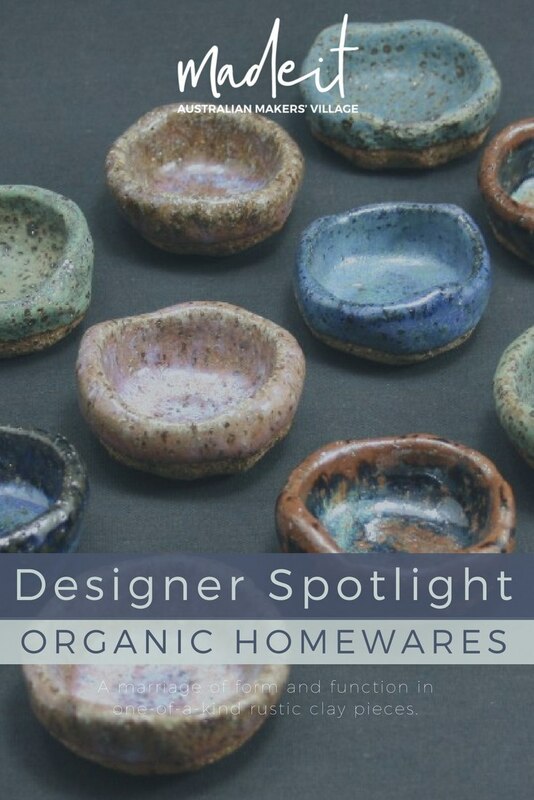 Each of my items reflects my ideology that an item should not only by functional, but should also be beautiful to look at and interesting to the touch. I guess I would consider most of my pieces to be ‘rustic’ in appearance, but I also make refined pieces as well. I have been on Madeit for about a year and really enjoy the sense of community on the site. Everyone is friendly and helpful and full of suggestions when one of us has a problem. 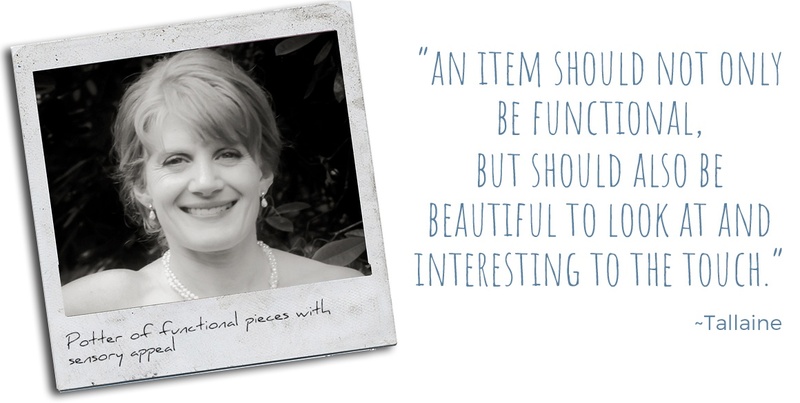 The owner, Louise, is always approachable and enthusiastic. Also, the quality and variety of ‘stalls’ on the web site is fantastic. There is always something I want to buy.